Sodium lauryl sulphate is a surfactant. All surfactants are partly water-soluble and partly oil-soluble. It is this quality that allows oil and water to become mixed. Above a minimum concentration, the surfactant molecules become organised in a structure that can trap the oil based dirt from the hair, allowing it to be rinsed away. Foam is not responsible for removing dirt, but it allows the hands to work the shampoo through the hair. This helps mechanical removal of dirt. Sulphates became widely used in the 1930s and they started the development of the modern shampoo industry. They are obtained by the catalytic reduction of the fatty acids in coconut oil. Sodium lauryl sulphate has been used for more than sixty years as a main shampoo ingredient. It is now being superseded by milder surfactants. Surfactants replaced the oldest surfactant, which is soap. They cleanse the hair in the modern way that we like leaving the hair fresh, clean and with great shine. Soap will clean the hair but its alkalinity tends to cause roughening of the cuticles on the hair follicle, leading to a dull appearance. Sodium lauryl sulphate gives thick, rich foam and cleanses the hair. Its thorough action dissolves dirt and grease effectively we have used it in our I Love Juicy liquid shampoo and Trichomania solid shampoo truckle. In its solid state, it is made into a ‘needle’ form, which we then use in our Squeaky Green, Ultimate shine and Hard shampoo bars. 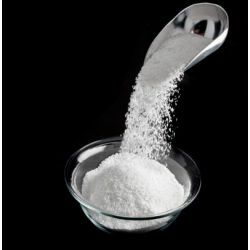 We have recently begun to replace sodium lauryl sulphate with a milder surfactant, sodium coco-sulphate. This new material is kinder to the scalp, but still cleans the hair effectively. Shampoo Bars are very environmentally friendly. Over the last year, we have sold 1 million bars worldwide. We have saved the use of three million bottles or ninety tonnes of plastic because our customers chose to use our solid shampoo and conditioners. This is a massive saving for the environment. We are proud that our innovations are having such a positive effect.